Is the Polish Lowland Sheepdog a Hypoallergenic Dog Breed? 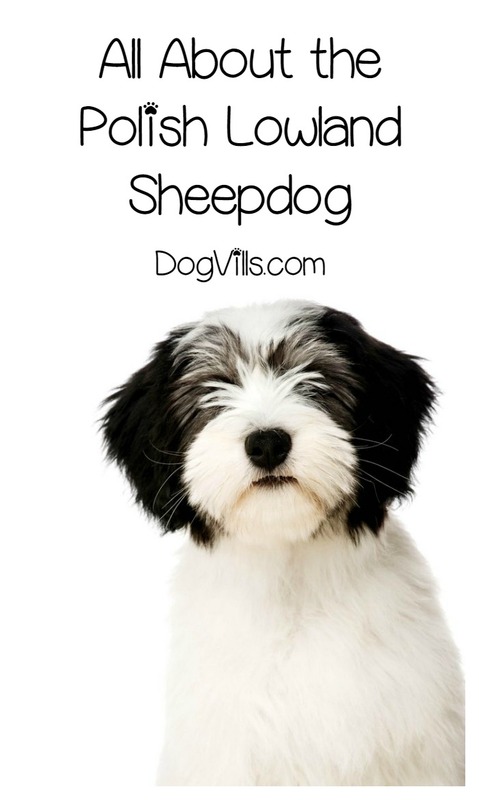 Wondering if the Polish Lowland Sheepdog is a hypoallergenic dog breed? Maybe you’re wondering if you’ve even ever SEEN one of these dogs? Just because you haven’t heard of a Polish Lowland Sheepdog doesn’t mean you’ve never seen one. In fact, if you ever watched Looney Tunes growing up, you have most certainly seen one. Remember the cartoons of Wile E. Coyote matching wits with the sheepdog? Well, that was a Polish Lowland Sheepdog, although the cartoon did take certain liberties with the size. We all know the classically shaggy look of this sheepdog. Now let’s take a closer look at this adorable working dog. We’ll kick it off with an interesting factoid that didn’t really fit anywhere else in this post. This Sheepdog is also known as the PON, which is short for Polski Owczarek Nizinny. This sheepdog has a widely varied backstory. His roots encompass ancient corded herding dogs from the Hungarian plains, other long coated mountain herders, shaggy herders like the Scottish Bearded Collie and the Dutch Schapndoes, the Tibetan Terrier, and believe it or not, the Lhasa Apso! I would say he has one of the most varied breedings of any purebred dog. The Polish Lowland Sheepdog has a dense, downy undercoat with a more coarse top coat used to help protect him from the elements. Aside from his coat being shaggy, it comes in any color pattern combination of white, gray, and brown. These colors tend to fade as the dog reaches adulthood. These dogs make excellent pets for those with allergies because they are a hypoallergenic dog breed. They’re a medium-sized herding dog. The males average around 20 inches at the withers and weigh in at around 50 pounds. Females average around 19 inches at the withers and weigh around 40 lbs. As herding dogs, they are a muscular, hardy breed. The Polish Lowland Sheepdog is a self-confident breed. He is intelligent with an excellent memory, which makes him easy to train. He’s a boisterous, happy, and outgoing dog who loves his people. He can be a bit reserved and watchful with strangers – as any good herding dog would be – but after heh warms up to these newcomers, there should be no issue with his friendliness. Although he’s a loving, outgoing dog, he needs to be socialized early and well. He is generally not an aggressive breed, but he will defend himself and his role as the head honcho vigorously. So proper socialization is key to keeping that sort of behavior in check. First-time owners of the breed should be aware that his self-confident nature means that the owner absolutely must establish their place at the head of the pack, or this guy may try to take over. Hip Dysplasia – A disorder in which the head of the femur doesn’t seat properly into the socket of the hip. Mild cases may require little to no medications while extreme cases may need surgical repair. Progressive Retinal Atrophy (PRA) – A progressive degenerative condition of the retina leading to loss of vision and eventually blindness. The Polish Lowland Sheepdog has a long, long history of working. This dog’s ancestors once watched over herds and flocks all across the Polish plains, ranging day in and day out with his shepherd and his herd. He has the absolute heart of a working dog, and as such, he needs LOTS of exercise. This breed needs at least 2 or 3 vigorous walks a day plus lots of outdoor time. He does well with a nice fenced in yard, and he is not recommended for city life. He just has too much energy. This breed requires regular bathing and daily brushing to keep his coat from becoming matted. If you live in a rural area, the Polish Lowland Sheepdog is an excellent choice for a family pet. His hypoallergenic coat makes him perfect for allergy sufferers, and his boisterous nature makes him an excellent choice for families with kids. Be mindful that this is not a breed for first-time dog owners, as his intelligence can actually be a hindrance to your alpha status at times. That being said if you have a bit of dog experience and enough time to devote to training and play, the Polish Lowland Sheepdog could be just the right fit for your family. As always, remember to make adoption your first option. Although you probably won’t find the Polish Lowland Sheepdog at your local shelter, there are breed specific rescue websites that you could probably find. You never know. You may find the perfect match for your family without going to a breeder. Do you have one of these hypoallergenic dog breeds? What do you love about the Polish Lowland Sheepdog?